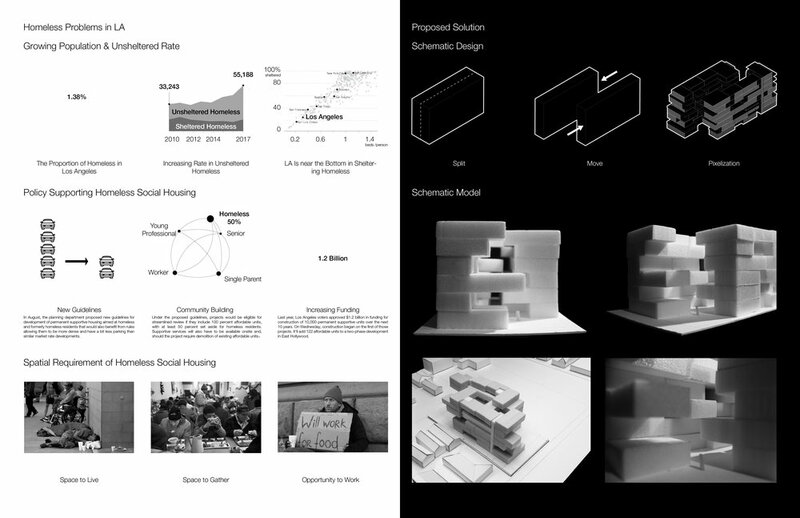 The project provides a communal housing apartment design under the context of Downtown Los Angeles @ 1st and Soto. 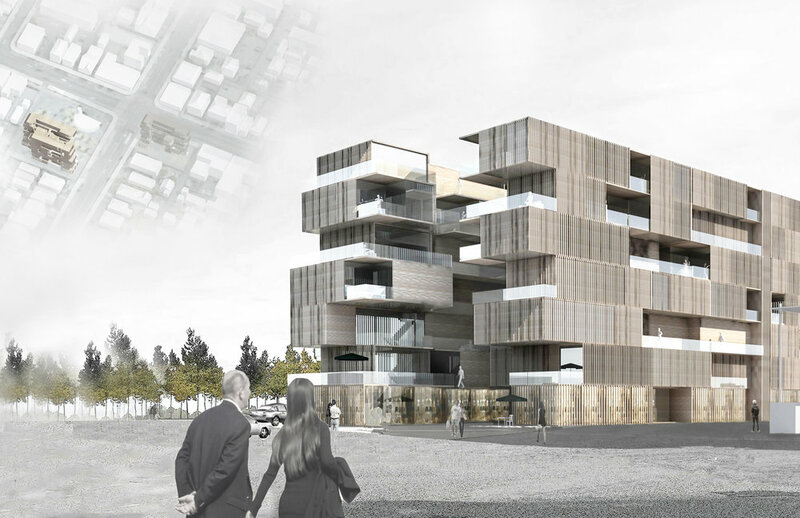 The design aims to create an urban void in the dense urban context. The void between the two part of apartment fragment provides urban public space connecting 1st street and soto street to the metro station and urban plaza besides the project. 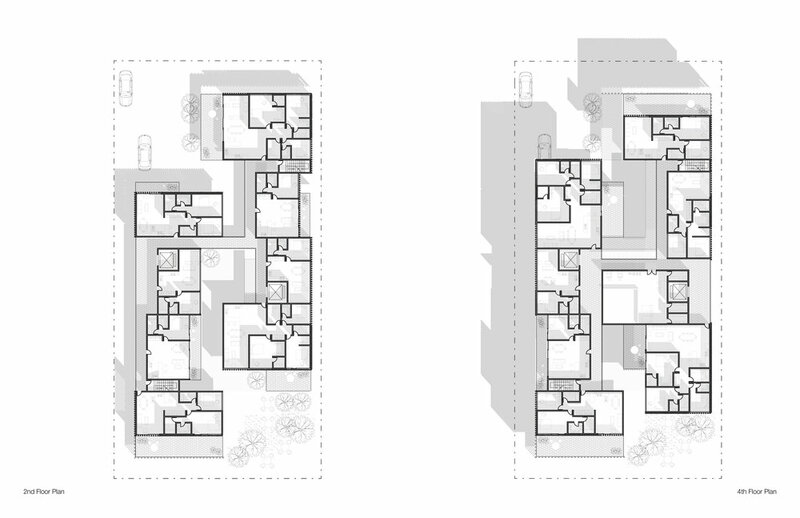 The void also provides opportunity for creating a small residential related commercial street for the residents. 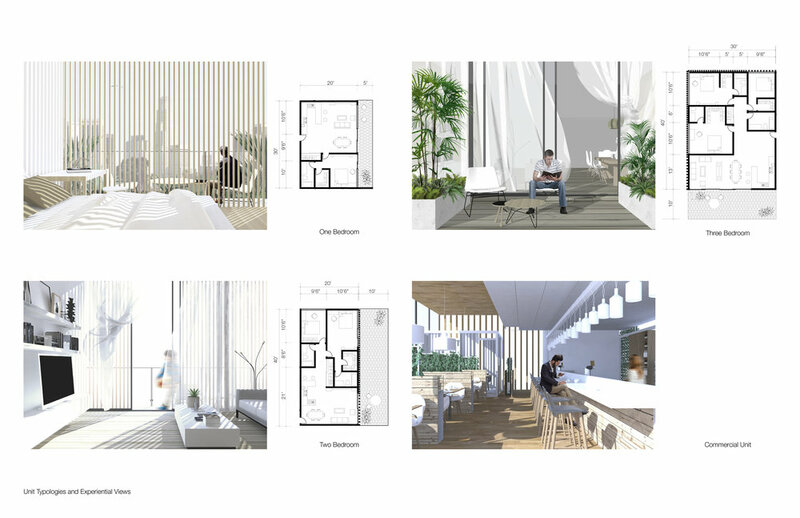 Aggregating four types of units create balcony and exterior corridor to create an iconic facade and dynamic shared spaces in the project.